Running into a long-ago friend sets memories from the 1970s in motion for August, transporting her to a time and a place where friendship was everything—until it wasn't. For August and her girls, sharing confidences as they ambled through neighborhood streets, Brooklyn was a place where they believed that they were beautiful, talented, brilliant—a part of a future that belonged to them. Is it ever really possible to go back to the city of our childhood memories? Author Jacqueline Woodson revisits not just memories of Brooklyn but also memories of friendship, family, and grief in Another Brooklyn. August has strong memories of her mother and Tennessee, but those memories pale in comparison to her memories of her friendship with Sylvia, Angela, and Gigi in Brooklyn. Her life is a series of before and afters. Before and after with her mother. Before and after leaving Tennessee. Before and after arriving in Brooklyn. Before and after her father joined the Nation of Islam. Before and after tragedy and grief. As an adult, August reconciles those before and after childhood memories with all that she has learned along the way. 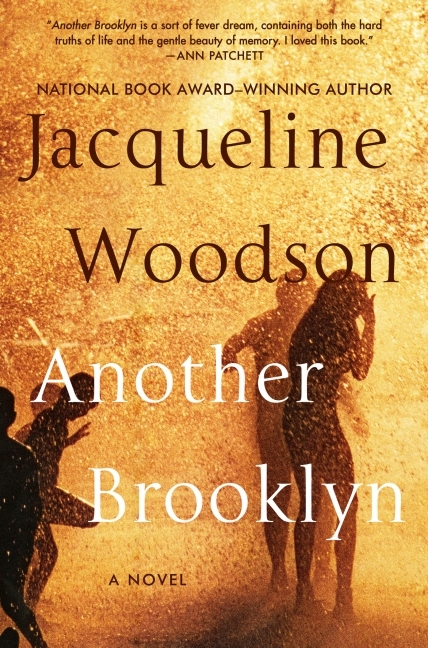 Another Brooklyn is an amazing story of friendship, family, and survival. Yes, it is a coming-of-age story, but it so much more. Through the eyes of August, we see the bonds of friendship transcend to become the bonds of family. We also witness tragedy after tragedy, as well as childhood and adult struggles with grief. Another Brooklyn is a hauntingly beautiful addition to Ms. Woodson's list of amazing works of prose. I found Another Brooklyn to be an amazingly fast-paced read and one that I enjoyed. I wish I could say more about this book, but the only thing that needs to be said is this...read this book! Yes! Sometimes you just want to press a book into people's hands and say, "Trust me. Read it." I was on this tour as well and really enjoyed the book. It evoked a vivid picture of the times!